Mercedes has confirmed that its family of GLC SUVs will be topped by a new, V8-engined model. The Mercedes-AMG GLC 63 will come as both the regular GLC, and the GLC Coupe. At the heart of the new models is AMG’s twin-turbo 4.0-litre V8 engine (closely related to the unit in the Mercedes-AMG GT), which will come with a choice of two power outputs. The standard model develops 469bhp, but in S versions, that figure rises to 503bhp. 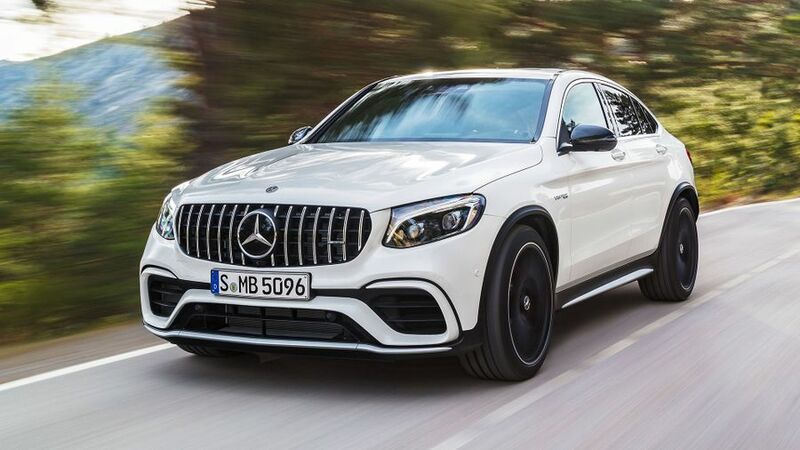 That makes the GLC 63 a unique proposition in this area of the market, with only the Porsche Macan Turbo even coming close to matching that level of power. In both standard and S models, the V8 engine is paired with a nine-speed, twin-clutch, semi-automatic transmission, and common to both are adaptive air suspension, all-wheel drive, and a high-performance braking system. The ‘intelligent’ all-wheel drive system automatically distributes drive to the most appropriate wheels, but the driver can also choose from four driving modes – Comfort, Sport, Sport Plus and Individual – which adjust the response of the engine, gearbox, suspension, steering, traction control, and all-wheel drive. In addition, S versions also have a Race programme, in which all the settings are designed for maximum performance. In order to give better traction, both standard GLC 63 and GLC 63 S models come with a limited-slip rear differential: a mechanical unit on the basic car, and electronically controlled on the S models. To set the new models apart from lesser GLCs visually, they also feature the same grille as the AMG GT sportscar, as well as having extended wheelarches, deeper side panels, and a roof spoiler. The standard GLC 63 comes as standard with 19-inch alloys, while on the S they are 20-inches. Larger wheels (up to 21-inches) are also available as options, and S models stand out further thanks to silver detailing. Inside, the new AMG models come with leather-trimmed sports seats, while the dash is also trimmed in leather, and the cabin includes numerous bespoke features. Beyond that, several optional packages are available to make the car look and feel even sportier. These include a performance exhaust system, and styling packs for both the interior and exterior of the car. For even more exclusivity, there will also be a special edition model, available only at the launch of the new GLC 63. The ‘Edition 1’ will have a unique package of equipment and looks, including 21-inch wheels, sports stripes on the body, and yellow highlights throughout the cabin. Prices for any of the new models are yet to be confirmed, but Mercedes has confirmed first deliveries of the car will start in September. 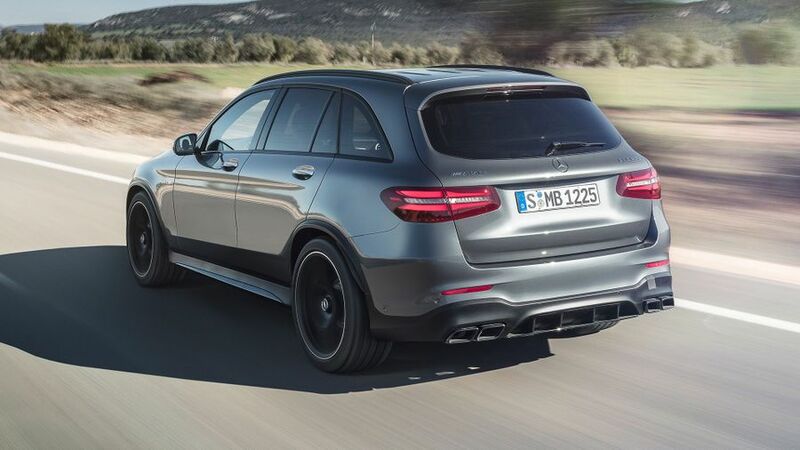 Interested in buying a Mercedes-Benz GLC Class?